Last year I spent a week in Morocco. 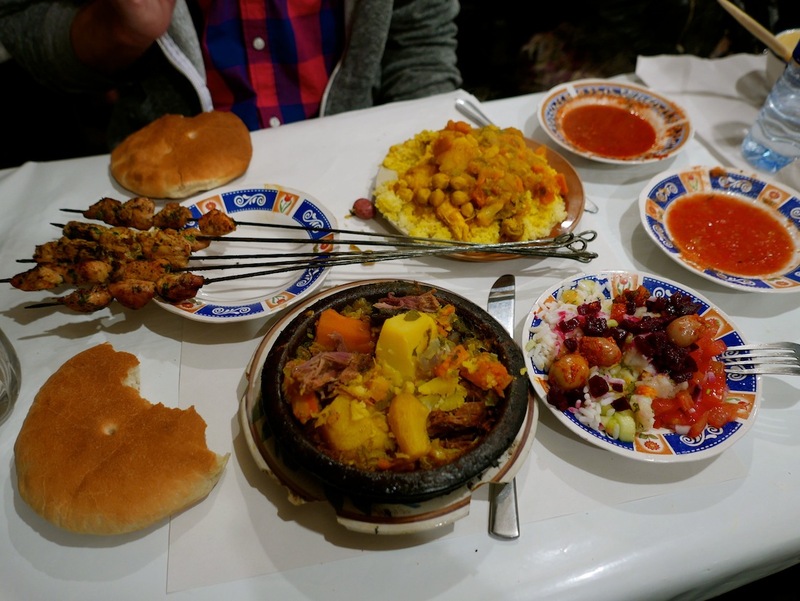 We started our trip in Marrakech and made our way to the Atlas Mountains and the Desert, but not before sampling some of the delightful food options around the city. With so many choices, selecting a restaurant (and of course finding it!) can be difficult, so here are my top 5 places you must visit whilst you are in Marrakech. 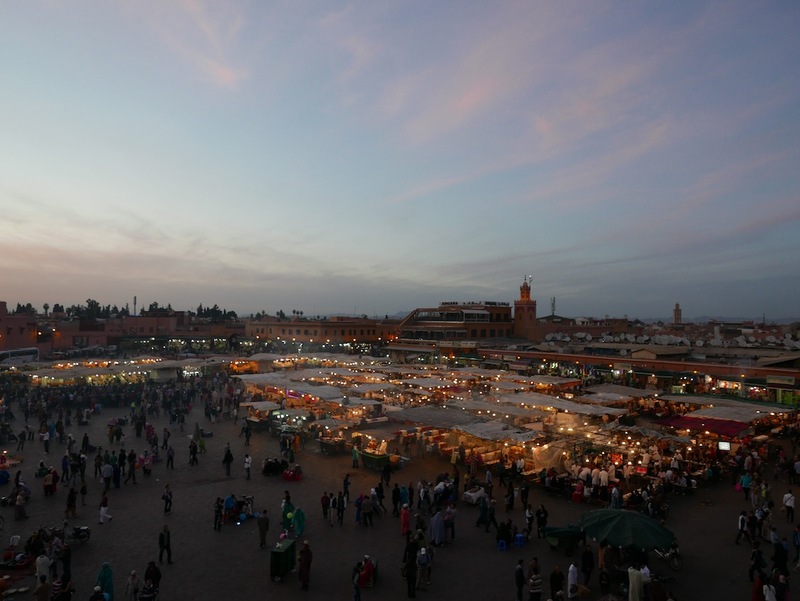 First on the list has to be the main square and market in the centre of Marrakech, Jemaa el Fna. During the day the square is filled with orange juice stands and entertainers, but don’t get too distracted by all the food options available as you may end up with a snake or monkey on your shoulder! 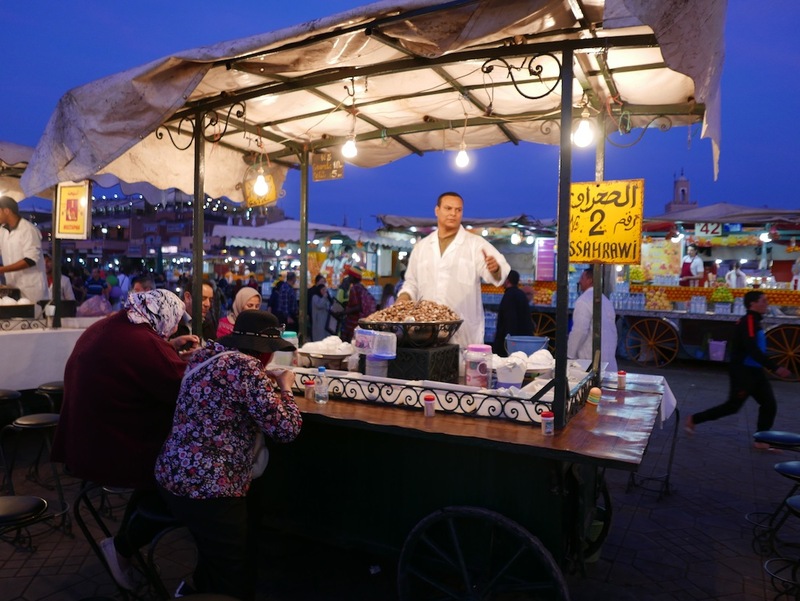 At night, the square transforms into a smokey aromatic food lovers paradise, offering anything from hot flavoured snails to traditional tagine to moroccan pastries and sweets. Trust me, you won’t leave this spot hungry! 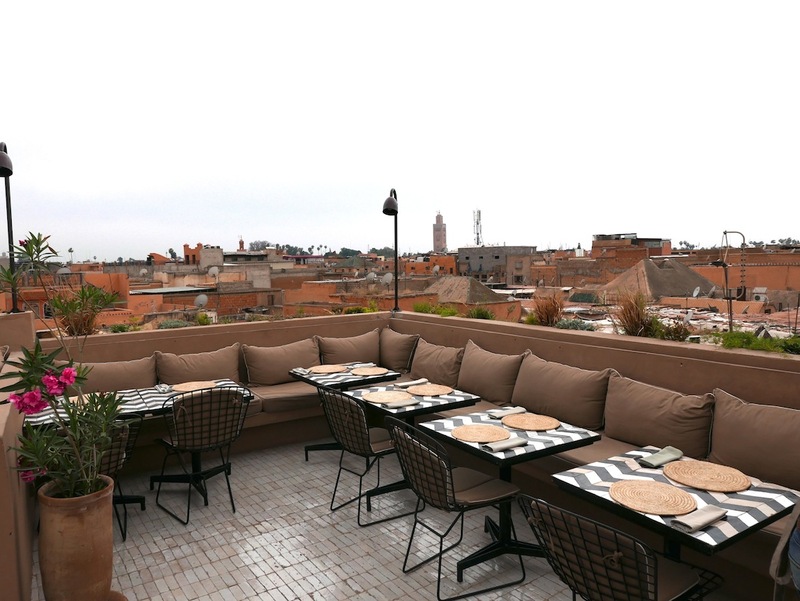 This rooftop restaurant is an oasis above the medina. 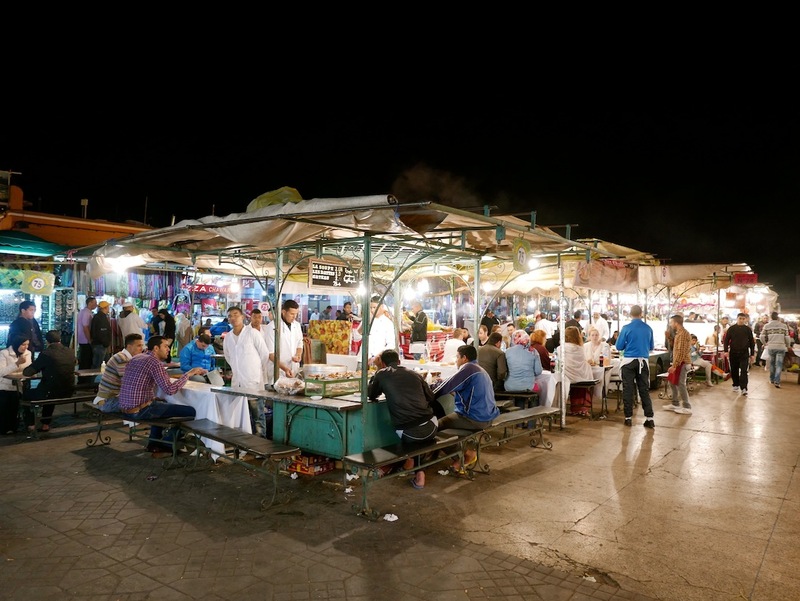 After a morning of bargaining for spices and scarves if you are prepared to do a little searching in the souk behind the Jemaa El Fna for Nomad (download City Maps To Go in advance! ), you will be rewarded with a calm and tranquil spot to enjoy your lunch. Nomad serves up whats described as modern Moroccan food based on simplicity, using fresh local produce and spice to create twists on traditional recipes. 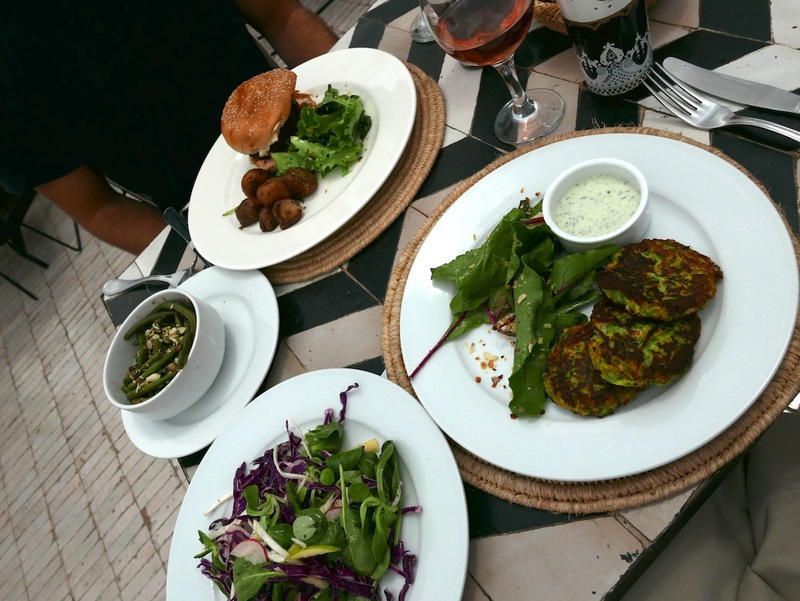 I highly recommend the courgette and feta fritters! If its good enough for David Beckham’s 40th Birthday then its good enough for me! 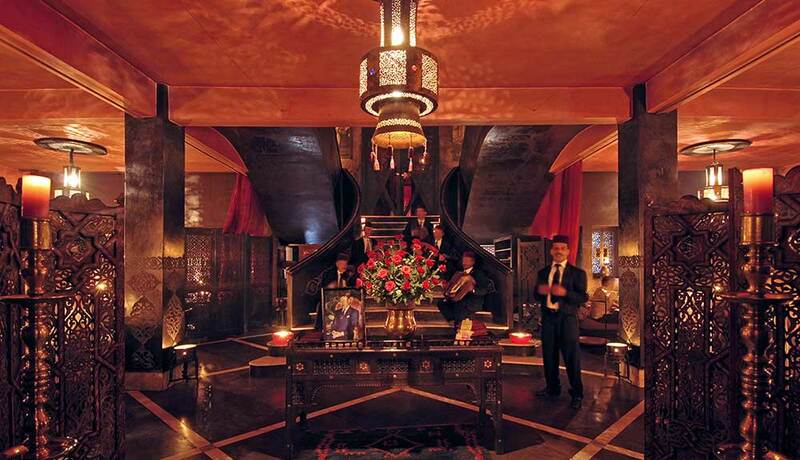 Walking into this dimly lit restaurant you are immediatly drawn into the lively yet romantic atmosphere. We had a table upstairs right next to a small dance floor, where we were treated to a show of traditional moroccan music, belly dancers and ladies balancing elaborate trays with candles on their heads. The entertainment and atmosphere alone make this place worth a visit, but the food itself is truly the reason why Comptoir Darna is so popular! We selected a few items from the menu including the traditional lamb tagine which was absolutely delicious, washed down with a few cocktails. 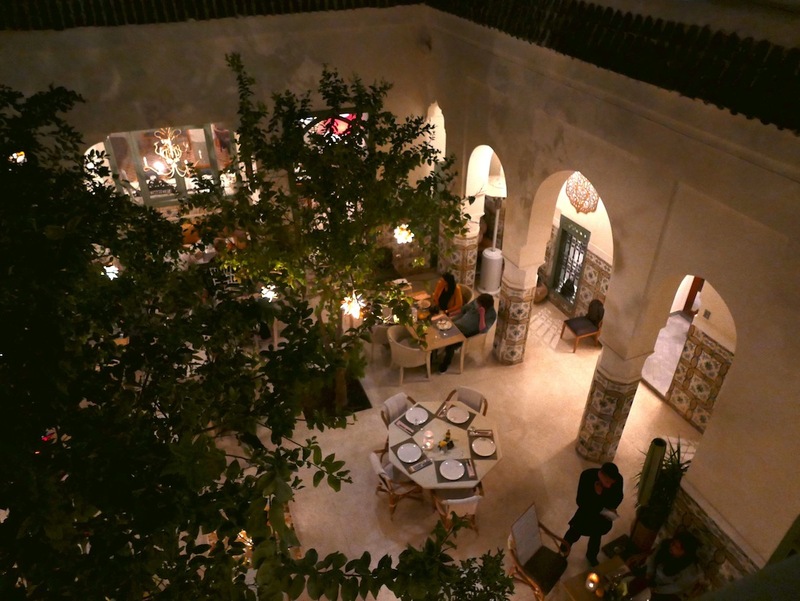 Later in the evening the restaurant turns into a nightclub where you can smoke traditional hookah and party the night away until 3am before calling it a night and heading back to your Riad! 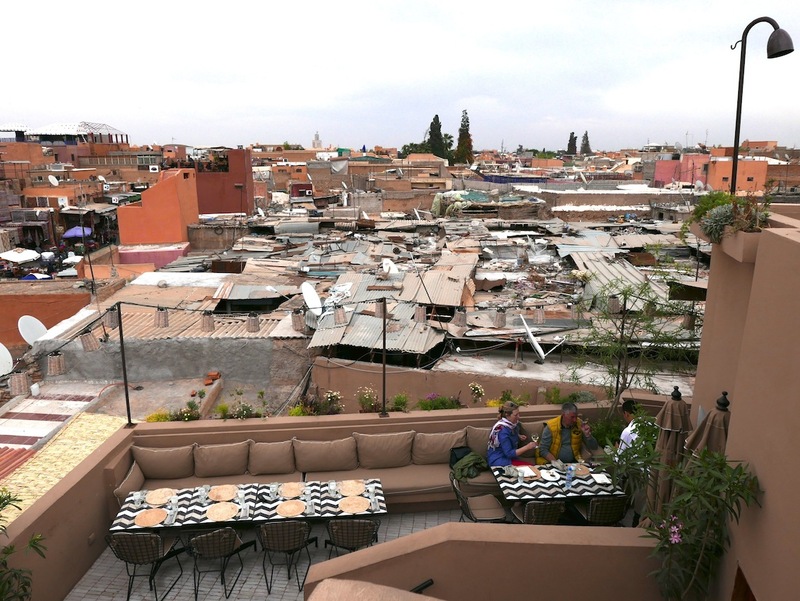 This was one of my favourite places in Marrakech! As with most places within the walled city it took a little searching to find, but once we did we found we were transported from the hustle and bustle into an oasis of calm. 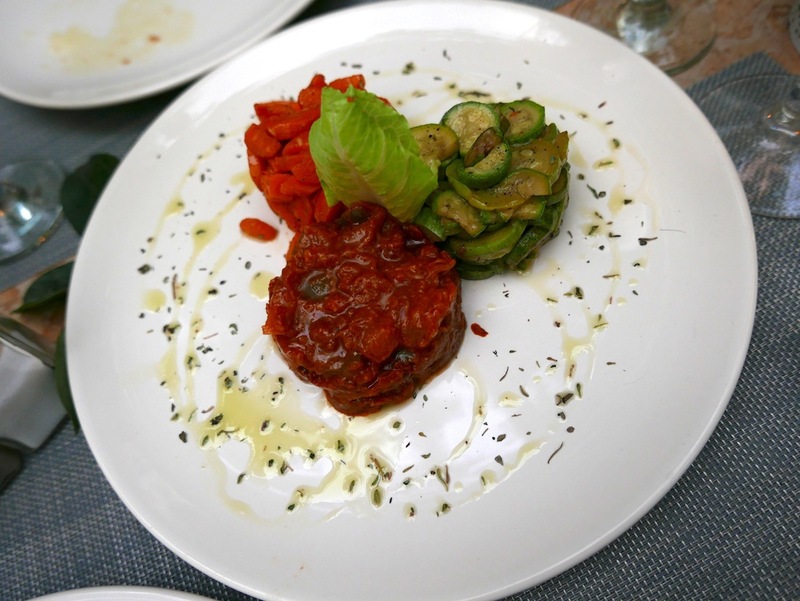 Limoni serves delicious Italian to you in a lemon tree filled courtyard, perfect for an early evening meal so you can enjoy the location as the sun slowly goes down. Its truly worth the effort to find, just make sure you have plenty of patience as you begin your search! If you are planning a visit to the Jardin Marjorelle then a stop for lunch at the Grande Cafe De La Poste beforehand is a must! 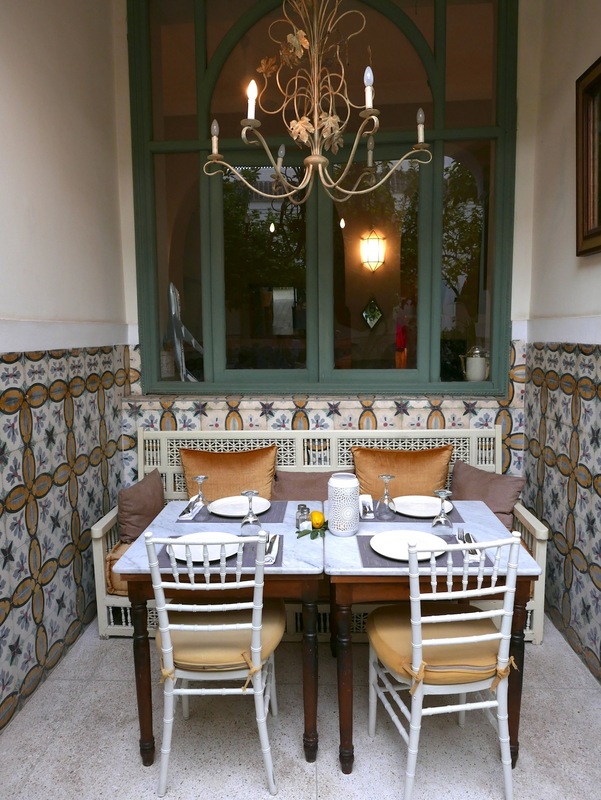 Sitting outside the walls of the Medina and dating back to the 1920’s this colonial style venue re-opened in 2005 and has been serving up elegant cuisine in beautiful surroundings ever since! To leave you with one last tip, at sunset make your way up to Cafe De France. The food here is pretty basic so I wouldn’t recommend it for your dinner, but it’s great place for a traditional mint tea and incredible view of the sun going down over the main square. 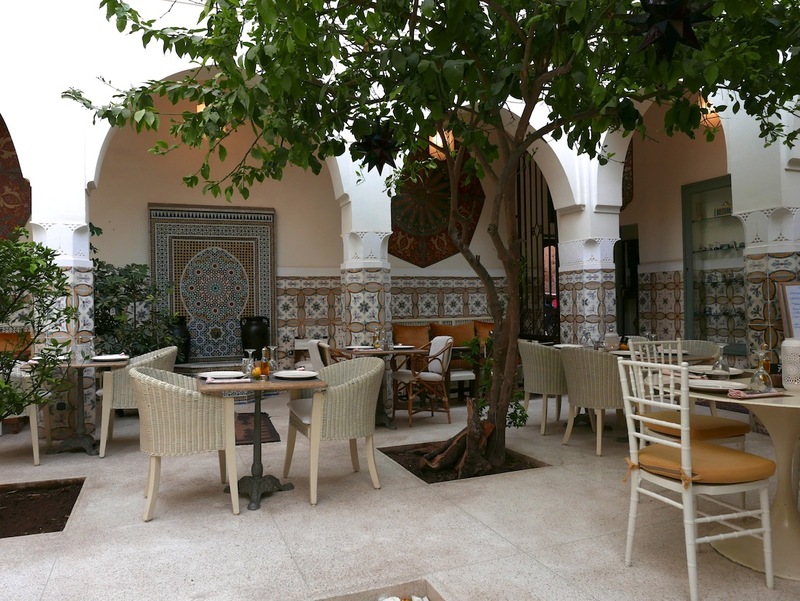 We hope that this article has inspired you to visit Marrakech and find some of these delicious dining spots. 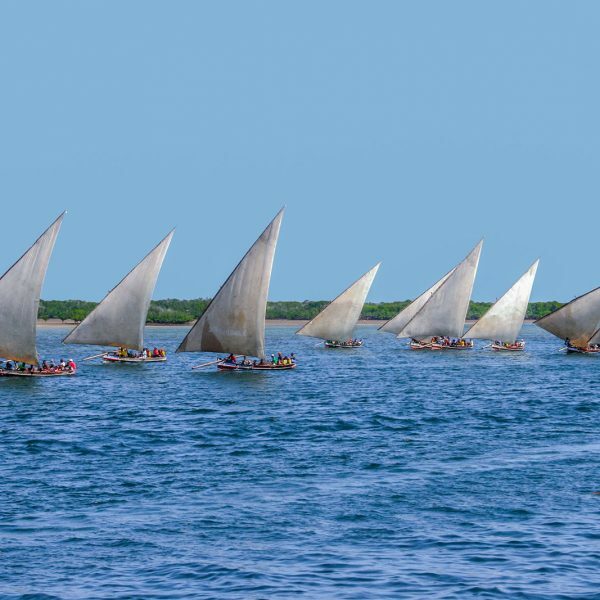 If you have any questions about the destination or have your own travel tips to share please leave these in the comments below. 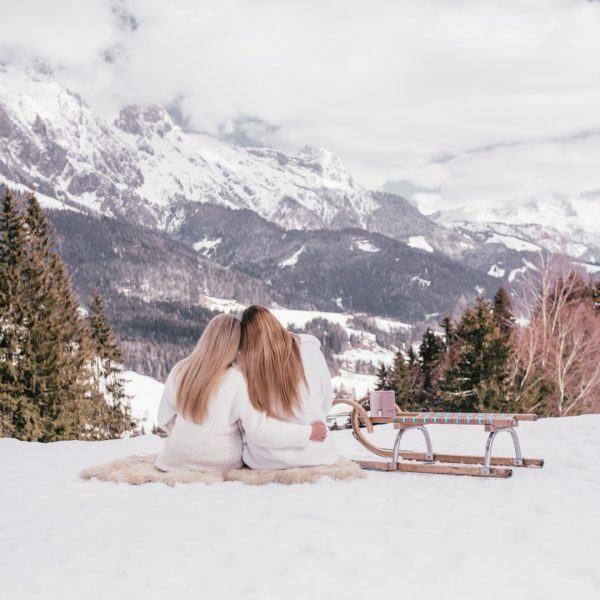 Join Our Morocco Travel Girls Getaway! 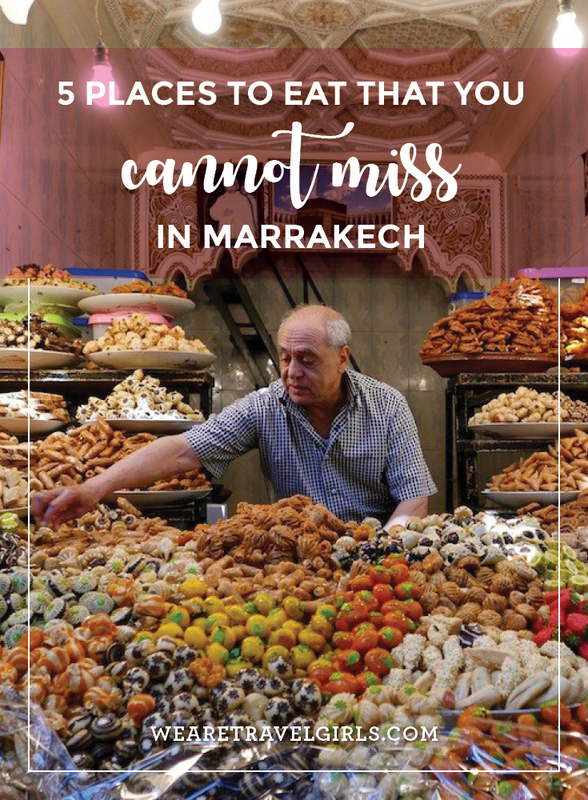 We Are Travel Girls Founder Becky van Dijk, in partnership with Experience Morocco, will guide you through the must-see sites in Morocco. 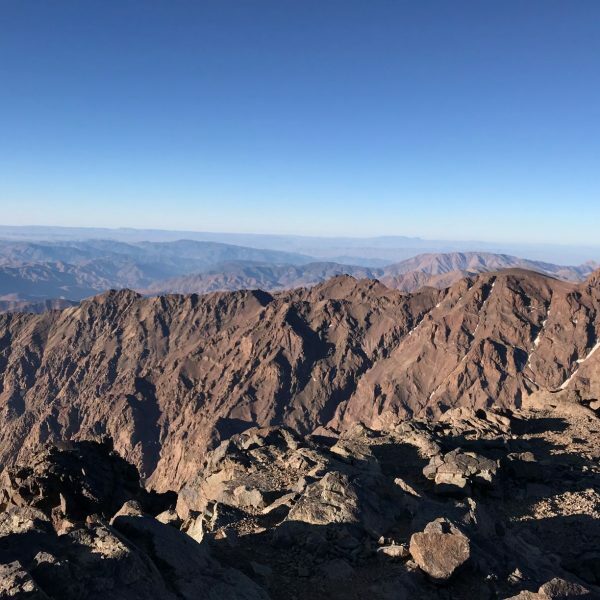 Together you will explore the wonders of Marrakech city, have a glamping experience under the stars in the Sahara desert, and see UNESCO World Heritage site Kasbah Ait Benhaddou, and add an optional 4 day add-on that includes the blue city of Chefchaouen! Be very wary of the market stalls in the main square at night. We were persuaded by hustlers into one who sounded convincing. We were taken to choose whichever dish we wanted on display. Whilst waiting , several dishes were brought to us which we hadn’t ordered and we, naively, thought that they were complimentary. None of them were really edible. The bread that was laid out on the tables was stale too. Our main course eventually arrived. We hardly ate any of it because it wasn’t at all nice. We were shocked at the end to be given a bill of 550 DNS, everything itemised, including the bread. We may just as well have thrown the money done the drain. The food was awful and it was a total rip off. The atmosphere on the square was amazing with all the musicians and dancers. Perhaps we were just unlucky. 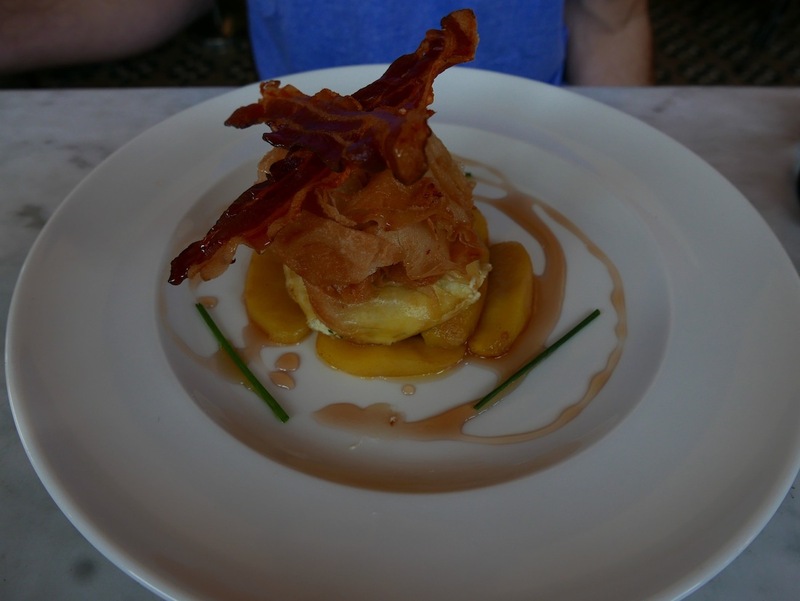 All the other places we dined at served good food and were very reasonably priced. What happened to you was really unfortunate but it does sometimes happen to visitors. One thing to do to help avoid being swindled is to walk around the stalls and see where the Moroccans are eating. You will never see them sitting at an inferior restaurant. Morocco can be a land of extremes… in Kindness and in it’s Opposite.